The first Grand Slam tournament of the new year is just around the corner, and while all eyes will be on Roger Federer to see if he can land his milestone 20th Major title, the potential is there for a new women’s champion to be crowned. Previously, the men and women were previewed separately in my articles, but the two have now been merged to form a mega-preview of the opening Major tournament of 2018. 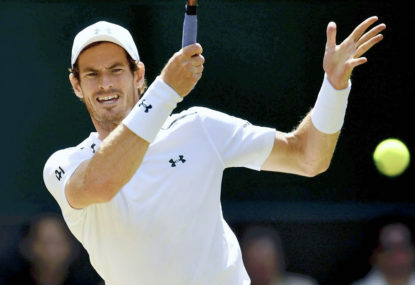 We start by previewing the men’s tournament, which was rocked last week by the withdrawal of Andy Murray due to a hip injury for which he has successfully undergone surgery, meaning he could be back in time for Wimbledon. 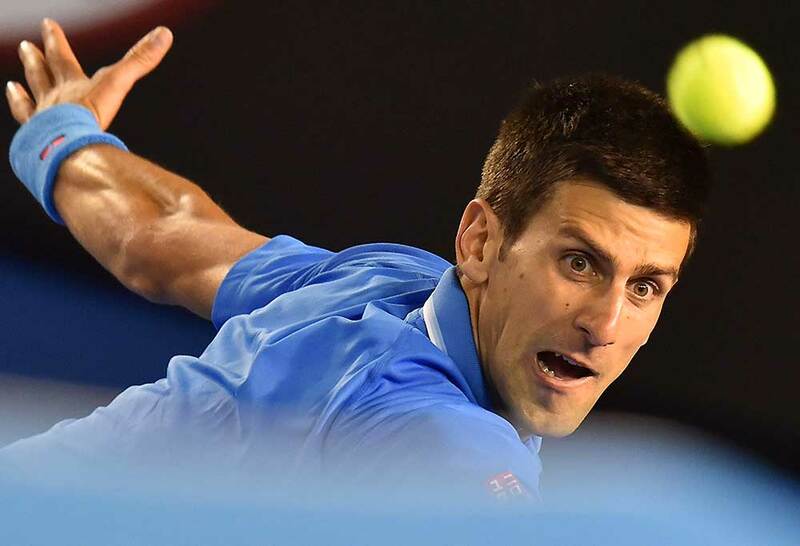 Previous champions Novak Djokovic and Rafael Nadal will continue to ramp up their preparations by participating in Kooyong, and while Stan Wawrinka remains in doubt having not played since Wimbledon last year due to a knee injury, the 2014 champ is also expected to take his place. 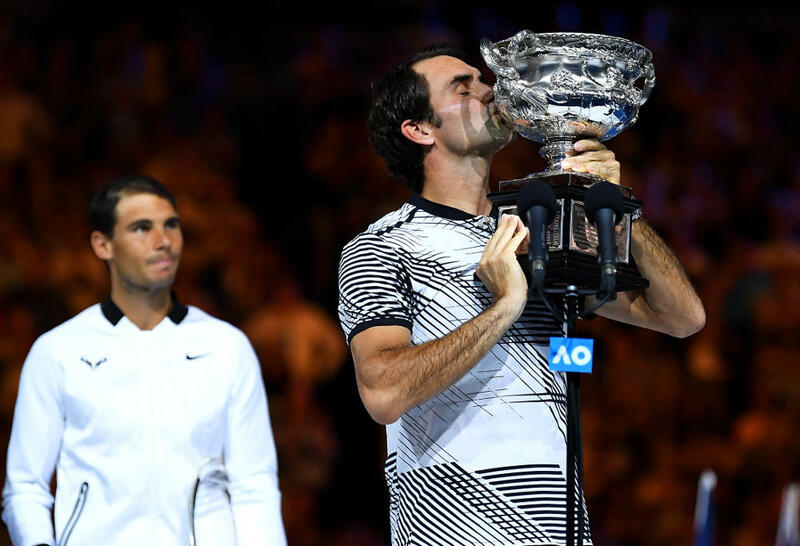 These concerns have led to bookmakers installing Roger Federer as the favourite to land his sixth Australian Open title (which would see him equal Novak Djokovic and Roy Emerson on as many titles at Melbourne Park) and 20th Grand Slam title overall. Once again, Nick Kyrgios will burden local expectations, and with only a second round result to defend from last year, the 22-year-old Canberran has every chance of going deep and picking up some precious rankings points in his pursuit of a career high ranking. Let’s now have a look at the men’s contenders. Titles in 2017: Monte-Carlo, Barcelona, Madrid, French Open, US Open, China Open. 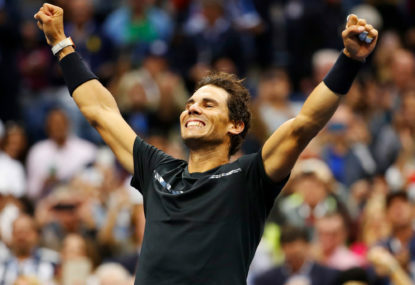 After winning his ninth French Open title in 2014, the fortunes of Rafael Nadal took a turn for the worse when he suffered a knee injury which forced him to forfeit the defence of his US Open title. That, and the following two years in which he failed to reach a Grand Slam final (in addition to having to withdraw midway through the French Open due to a wrist injury), led many to believe that the Spaniard’s time at the top had come to an end. But last year, the 31-year-old hit back with a vengeance, reaching the Australian Open final where he lost to Roger Federer in the sequel to the equally-as-epic 2009 final, which the Spaniard won on that occasion. 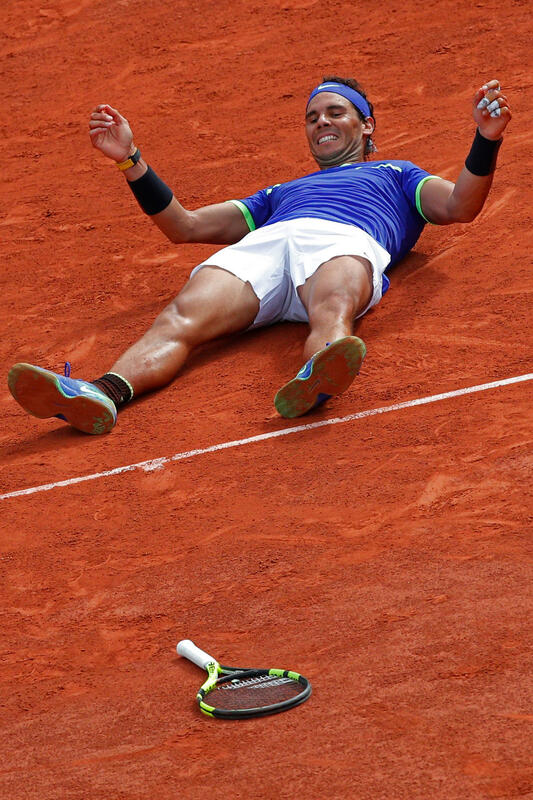 After losing to Federer in back-to-back events at Indian Wells and Miami, Nadal would strike ‘La Decima’ at Monte Carlo, Barcelona and the French Open, winning the latter tournament without dropping a set for the third time. Many believed he would then go on to win Wimbledon for a third time, before being stopped in his tracks by Gilles Muller in a fourth-round, five-set epic in which the final set lasted 28 games. After dismal results in Montreal and Cincinnati, where he lost to lower-ranked players Denis Shapovalov and Nick Kyrgios, respectively, he would claim his third US Open title by defeating Kevin Anderson in the final in straight sets. Another title in Beijing would see him claim the year-end world number one ranking, becoming the oldest man to achieve this, before he was forced to withdraw midway through the ATP Finals due to a knee injury. It also forced him to withdraw from the season-opening Brisbane International earlier this month. Now, the Spaniard returns Down Under where he will attempt, for the third time, to complete a Double Career Grand Slam, having come so close last year when he lost to Roger Federer in the final. Another Grand Slam title win would see him close to within two of Roger Federer (19), and if he is up for the challenge, he could potentially complete the Calendar Grand Slam and overtake his great rival by year’s end. While the lure of creating history is there, and while I can see him reaching another Australian Open final, I can’t see him winning it all. Titles in 2017: Australian Open, Indian Wells, Miami, Halle, Wimbledon, Shanghai, Basel. 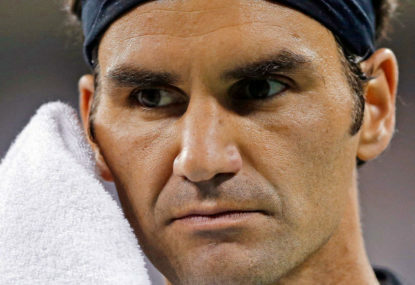 After the worst season of his distinguished career, in which he failed to reach a single Grand Slam final, had to withdraw from two (the French and US Opens) and failed to win a title for the first time since 2000, Roger Federer, like his great rival Rafael Nadal, also hit back in 2017. The Swiss Maestro turned back the clock to win his 18th Major title at Melbourne Park, breaking some significant hoodoos in doing so. He ended his longest Grand Slam title drought (his previous Grand Slam title was at Wimbledon in 2012), longest drought between Australian Open titles (his previous win was in 2010) and defeated his career nemesis, Nadal, at a Grand Slam outside of Wimbledon for the first time. It would be the first of seven titles the 36-year-old would win in 2017, also claiming back-to-back titles at Indian Wells and Miami, a ninth title at Halle, a record-breaking eighth Wimbledon title as well as tournaments in Shanghai and Basel. His impressive season led to him finishing second, only behind Nadal, in the year-end world rankings. At age 36, the Swiss Maestro couldn’t be playing better than ever before. The Basel native has let known his intentions of playing to at least the end of next year, by which point he will be 39. If he keeps up his impressive form until then, there is the real chance he may target playing at the Tokyo Olympics in 2020. But first thing’s first – at stake for Federer is a milestone 20th Major title, and a record seventh Australian Open title, which if he achieves will see him pull clear of Rafael Nadal (16) on the men’s Grand Slam leaderboard. Already he has started this season impressively, winning his four singles matches at the Hopman Cup and combining with Belinda Bencic to win Switzerland their first title since 2001. The impressive form he has shown over the past twelve months will see him enter the first Grand Slam tournament of the year as the bookies’ favourite – and I believe he will go all the way. Titles in 2017: Brisbane, Sofia, Cincinnati, ATP Finals. After a couple of lean years following what seemed to be a breakthrough 2014 season in which he reached the semi-finals at Wimbledon, and won three titles, Grigor Dimitrov has re-emerged as the player to watch in 2018. Under the guidance of Andy Murray’s former hitting partner, Daniel Vallverdu, the Bulgarian claimed the Brisbane International at the start of the 2017 season, ending a title drought of over two years. That was then succeeded by a run to the semi-finals at the Australian Open, where he stretched Rafael Nadal to his absolute limits in a five-set, semi-final epic which he lost 6-4 in the final set just after 1:00am local time. It would turn out to be his best result at a Major for the year, his next best result being reaching the fourth round at Wimbledon where he was thrashed by Roger Federer in straight sets. Elsewhere, he was beaten in the third round at the French Open by Pablo Carreno Busta, and in the second round at the US Open by Russian Andrey Rublev. Both of his victors went on to lose to Rafael Nadal in the quarter-finals at both events. Outside the Majors, he claimed his first Masters title by defeating Nick Kyrgios in Cincinnati, and capped off the most successful year of his career by winning the prestigious ATP Finals in London, finishing the year ranked world number three. By winning four titles in 2017, the 26-year-old doubled his career title tally, having won his first four titles across 2013 and 2014. 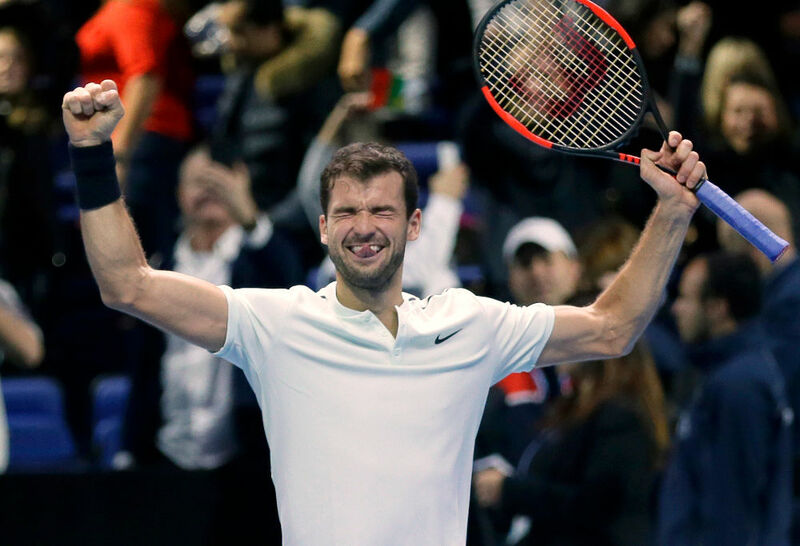 Already, Dimitrov has started the new year impressively, reaching the semi-finals in Brisbane where he was beaten in the semi-finals by the eventual champion, Nick Kyrgios. It will now remain to be seen whether he can continue to build on his impressive 2017 season and finally land his maiden Major title, though he will inevitably have to face tough opposition at the business end of the tournament to do so. Again, I have him going deep. Titles in 2017: Doha, Eastbourne. After winning the French Open in 2016, Novak Djokovic achieved greatness – not only completing the Career Grand Slam but also becoming the first man since Rod Laver in 1969 to hold all four Major titles simultaneously. But his world has come crashing down over the past 18 months, culminating in the loss of the world number one ranking, the loss of all four Major titles and an elbow injury which forced him to call time on his season after Wimbledon last year. The Serb suffered his earliest Australian Open exit since 2006 when he lost to Denis Istomin in the second round, while he also lost back-to-back quarter-finals at the French Open and Wimbledon to Dominic Thiem and Tomas Berdych respectively. However, he did win two titles, in Doha and Eastbourne, keeping alive an eleven-year streak dating back to 2006 in which he has won at least one title. His absence from the US Open marked the first time that he had missed a Grand Slam tournament since debuting at the 2005 Australian Open, and his continued absence from the tour up until now has seen him drop to 14th in the world rankings. This means he could strike one of Roger Federer, Rafael Nadal, Grigor Dimitrov or Alexander Zverev in the fourth round, making his path to a record-breaking seventh title all that much harder. If he faces Federer there, it will be their earliest meeting at a Major since the 2007 Australian Open, while striking Nadal would mark their first ever meeting before the quarter-final stage at any tournament (discounting three round robin meetings at the ATP Finals in 2007, 2009 and 2010). If Djokovic needs any inspiration, then he need not look as far back as Roger Federer’s run to last year’s title, which he embarked on whilst ranked 17th in the world after his own injury-plagued 2016 season. While there is no reason why the Djoker cannot emulate what the Swiss Maestro did last year, I think it will be a step too far. Still, he should make it to the second week for the eleventh time in twelve years. Also watch out for: Alexander Zverev, Dominic Thiem, Nick Kyrgios, Marin Cilic, David Goffin, Stan Wawrinka, Juan Martin del Potro. Withdrawals: Andy Murray (hip injury), Kei Nishikori (wrist injury). We now move onto the women’s draw, which has also been ravaged by the withdrawals of Serena Williams and Victoria Azarenka for contrasting reasons relating to motherhood. After giving birth to her daughter in September last year, Williams reluctantly withdrew from the tournament, stating that she was not yet at full fitness, while a custody battle involving Azarenka’s one-year-old son has prevented her from leaving California with him until the matter can be resolved. Williams’ withdrawal will see her drop all 2,000 rankings points she currently has in her possession, meaning she will be unranked in the week starting January 29, 2018. It will be the first time since October 1997 that her name is missing from the rankings. Croat-turned-Australian Ajla Tomljanovic is the beneficiary of Azarenka’s withdrawal, having now claimed the wildcard originally awarded to the Belarussian. Their absences leave Maria Sharapova (2008) and Angelique Kerber (2016) as the only former champions in the field, but neither are considered favourite; Sharapova is still climbing back up the rankings after serving a 15-month doping suspension, while Kerber struggled with form in 2017 and dropped out of the top 20 as a result. This means the potential is there for a first-time Australian Open women’s champion, which is likely to come out of any of Simona Halep, Garbine Muguruza, Caroline Wozniacki, Elina Svitolina or Karolina Pliskova. Halep, the world number one, started her season by winning the title in Shenzhen and will be one of the players to watch as the battle for the world number one ranking heats up in earnest. As she has no rankings points to defend over the next fortnight, she can extend her lead at the top of the rankings, but will have five other players watching over her shoulder. Other than the five players mentioned above, reigning French Open champion Jelena Ostapenko also has a shot at claiming the world number one ranking at the end of the tournament. 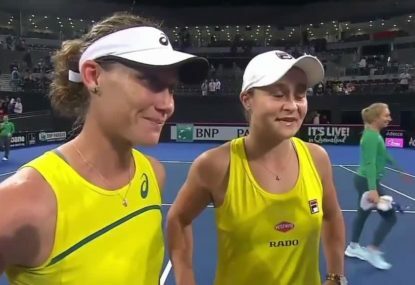 After a breakthrough 2017 season in which she won her first career title, cracked the world’s top 20 and finished the year as Australia’s top-ranked female tennis player, Ashleigh Barty will spearhead a strong local contingent, which also includes Daria Gavrilova and Samantha Stosur. Seeded 18th, Barty will have her work cut out for her as she will strike a top-eight seed in the fourth round, should she get that far. 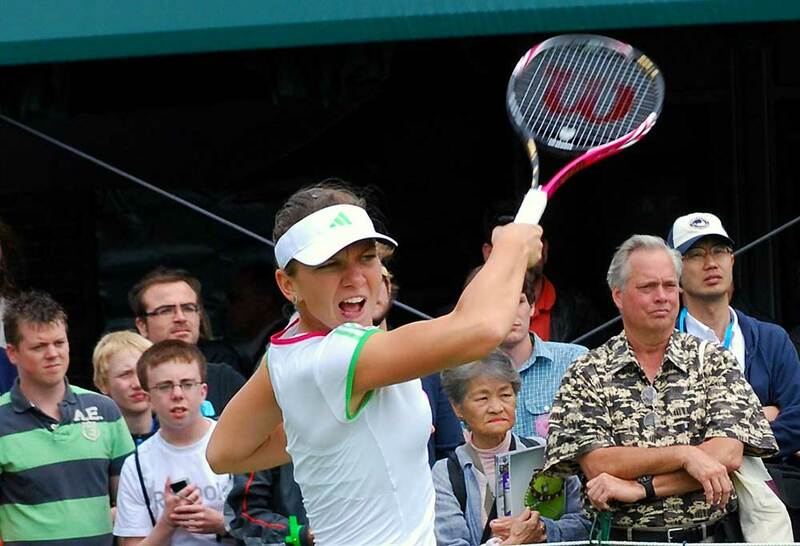 In fact, she achieved her best result in Melbourne Park last year when she reached the third round. 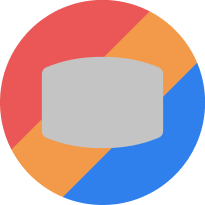 Titles in 2017-18: Madrid (2017), Shenzhen (2018). Of the six players in contention for the women’s world number one ranking at the start of the tournament, top seed Simona Halep is in the box seat, as she has no points to defend from last year. This means that while she can extend her lead at the top of the standings at will, it will remain to be seen whether she can regain the form that saw her reach back-to-back quarter-finals at Melbourne Park in 2014 and 2015. Apart from losing in the first round at the Australian Open last year, Halep also dropped her opening match at the US Open after drawing former champion Maria Sharapova first-up, while she lost in the French Open final to Jelena Ostapenko and reached the quarter-finals at Wimbledon. Her loss to Ostapenko in the final at Roland Garros can only be described as one of the greatest chokes in a Grand Slam final in recent history, given the Romanian had won the opening set and was a break up in each of the second and third sets. That defeat, as well as that to Johanna Konta at the All England Club shortly after, and a heavy loss at the hands of Garbine Muguruza in Cincinnati, all denied her top spot in the rankings, but she would ultimately climb to tennis’ summit in October. She is the latest in a long line of top-ranked tennis players who have yet to (or did not) win a Major title, others being Caroline Wozniacki, Karolina Pliskova and the retired Dinara Safina. The 26-year-old claimed just the one title for 2017, triumphing over Kristina Mladenovic to win in Madrid, while as mentioned above she claimed the title in Shenzhen to get her year off to a perfect start. Now it remains – can Halep bury the demons of the past two years and make a deep run at the Australian Open? Titles in 2017: Tokyo, WTA Finals. After a couple of lean years following her ascent to the top of the rankings in 2010, second seed Caroline Wozniacki has enjoyed a career renaissance, winning two titles towards the end of last season. The 27-year-old Dane successfully retained her title in Tokyo before winning the biggest title of her career in which she overturned a winless head-to-head record against Venus Williams to take out the WTA Finals in Singapore. This came over twelve months after an ankle injury she suffered during the clay court swing dropped her ranking to 74th. A run to the semi-finals at the 2016 US Open, where she was unseeded, was to be the first stepping stone in her climb back up the rankings. At the Majors, her best result was reaching the final eight at Roland Garros for a second time, while she fell in the third round at the Australian Open (to Johanna Konta), the fourth round at Wimbledon (to CoCo Vandeweghe) and the second round of the US Open (to Ekaterina Makarova). So far, Wozniacki started her 2018 season by finishing runner-up to Julia Goerges in Auckland, and having climbed back into the top two for the first time since losing her world number one ranking in January 2012, expectations will be high that she can finally land her maiden Major title. Her best result at the Australian Open remains reaching the semi-finals in 2011, where she held match points against Li Na before capitulating to lose in three sets. I have her reaching the last eight for the first time since 2012, but that will be as good as it will get for her. Titles in 2017: Wimbledon, Cincinnati. After a barren twelve months which culminated in the loss of her French Open title defence last June, Garbine Muguruza went back to basics in a bid to rediscover her best form. Entering Wimbledon with little expectations, the Spaniard raced through her first two matches before facing a stern test against then-world number one Angelique Kerber in the fourth round, coming from a set down to win in three. She proceeded to win her second Major title, defeating Venus Williams in the final in straight sets after saving a set point at 5-4 in the opening set (from that point, she would claim the last nine games in a row). 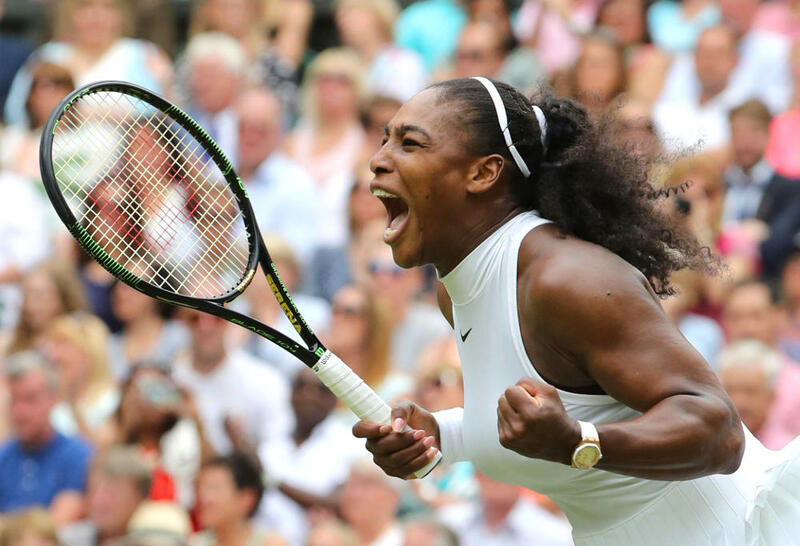 That saw her enter the history books as the first player to defeat both Serena and Venus Williams in a Major final, having beaten the former to win the French Open in 2016. Since then, Muguruza has enjoyed a solid past six months, thrashing Simona Halep to win the Premier title in Cincinnati, reaching the fourth round at the US Open where she lost to Petra Kvitova, and ascending to the top of the rankings where she would remain for a month. She also reached the quarter-finals of the Australian Open earlier in the year, where she went down to CoCo Vandeweghe in straight sets. The Spaniard’s season has not started the way she would have liked, having to retire early in the final set of her opening second round match against Aleksandra Krunic at the Brisbane International last week. Needing match practice ahead of the Australian Open, the 24-year-old accepted a wildcard into the ongoing Sydney International, where she is due to play Kiki Bertens in her first match this afternoon. There is no doubt she will emerge as one of the players to watch at Melbourne Park, and a third Major title win could see her enter the US Open later this year with a chance of completing the Career Grand Slam in record time. I have her going one better this year and reaching the final four. Without a doubt the player to watch at the Australian Open is Elina Svitolina. Despite only reaching the quarter-finals at the French Open (where she lost to Simona Halep despite being several points within victory in the second set), the Ukrainian otherwise enjoyed a solid 2017 season, claiming five titles; this was more than any other woman on the tour. This included her first Premier 5 titles in Rome and Toronto, in which she defeated Halep and Caroline Wozniacki in the finals respectively. The 23-year-old has already started the 2018 season impressively, claiming her tenth career title in Brisbane by thrashing Belarussian qualifier Aliaksandra Sasnovich in the final for the loss of just three games. En route to the title, she defeated Johanna Konta, who had to retire in the deciding set of their quarter-final match due to injury, and defending champion Karolina Pliskova in the semi-finals despite being down 0-4 in the opening set. Her impressive form over the past twelve months has seen her touted as a potential Grand Slam champion, even if her historically poor results at the highest level suggest otherwise. 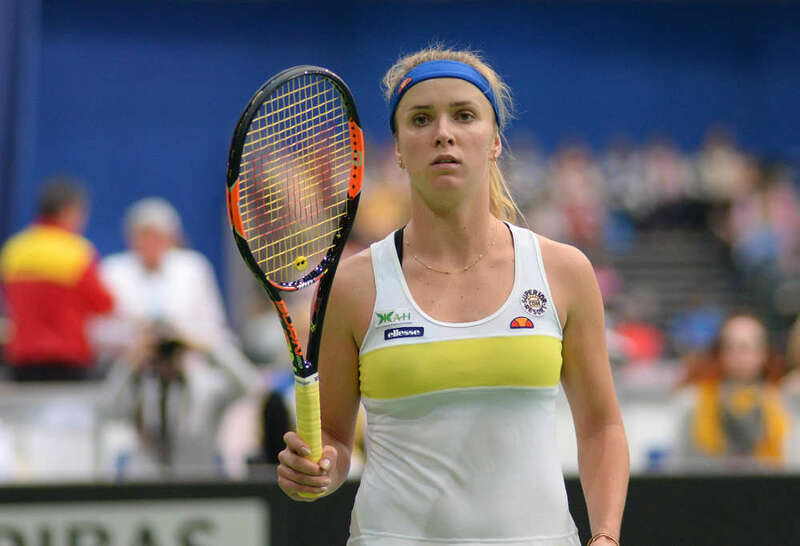 At number four in the world, Svitolina is the highest-ranked female player never to have reached a Grand Slam final, let alone a semi-final (her best result being a pair of French Open quarter-finals in 2015 and 2017), however, she did win the French Open girls’ title in 2010. Could her breakthrough finally come at the Australian Open? A huge call, but I think she can go all the way. The other player who I think has the potential to do very well is sixth-seeded Karolina Pliskova. The Czech right-hander enjoyed another solid season last year, reaching at least the quarter-final stage at three of the four Majors (the exception being Wimbledon) with the best result coming at the French Open where she lost a three-set, semi-final thriller against Simona Halep. She also won three titles, in Brisbane, Doha and Eastbourne, and also ascended to the world number one ranking despite losing in the second round at the All England Club. Her time at the top would not last long though, she lost in the quarter-finals to Coco Vandeweghe at the US Open, setting the tone for a poor finish to the year salvaged only by reaching the semi-finals at the WTA Finals in Singapore. Her failure to defend the title in Brisbane, where she lost in the semi-finals to eventual champion Elina Svitolina, saw her drop two places to number six in the rankings. She is one of two players in contention for the world number one ranking (the other being Jelena Ostapenko) who must win the title in order to return to the summit of women’s tennis. The task is ahead of her – can she finally break through for her maiden Grand Slam title, or will she be found wanting again? Also watch out for: Venus Williams, Jelena Ostapenko, Johanna Konta, Sloane Stephens, Ashleigh Barty, Daria Gavrilova, Angelique Kerber. Withdrawals: Svetlana Kuznetsova (wrist injury), Serena Williams (maternity leave), Victoria Azarenka (family issues).